We love to support our local community and sustainable development initiatives and help get you off the beaten track. There is so much to do in Sarapiquí, but here are some of our favorite recommendations! Sarapiqui is known for its exuberant rainforest, adrenaline-filled adventure activities like rafting, canyoning and canopy and authentic, off the beaten path agricultural tours. 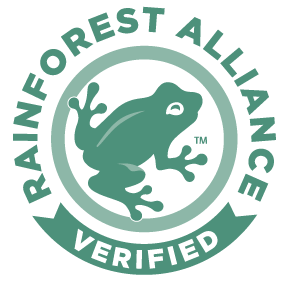 At Chilamate Rainforest Eco Retreat we support small, eco-friendly, sustainability-conscious local businesses and people who want to help you experience the best of rural Costa Rica. Get in touch with us so we can help you organize your time in Sarapiqui so you can experience everything that we love about it and also support our local community! Chilamate Rainforest Eco Retreat has a private reserve of 20 hectares of rainforest with around 6km of trails, some of which are appropriate for self-guided walks. Included in your stay is a guided hike in our reserve, available everyday at 8:30am, which lasts until approximately 10am. Please sign up at breakfast if you are interested in joining the guided walk. Given the location of the Chilamate Rainforest Eco Retreat and the private reserve Chilamate Jungle, in the heart of the San Juan la Selva Biological Corridor, a key piece of the larger Meso- American Biological Corridor, and the proximity to the la Selva Biological Station and Braulio Carrillo National Park, it is very easy to appreciate a wide biodiversity of species including animals such as monkeys, armadillos, pacas, a great variety of birds, amphibians insects, and much more. There is no cost to use the trails for Retreat guests. Please do let us know when you enter the reserve and when you plan on coming back. We have rubber boots available for your use, please ask at reception. Close-toed shoes are mandatory on the trails. El Paraíso Organic farm is located about 15km from Chilamate Rainforest Eco Retreat, and forms part of the larger farming settlement el Paraíso. The road is well paved and is accesible for any type of vehicle. Don Daniel and his wife Doña Teresa are the owners and they work on the farm alongside their children and attend to the visitors personally. After many years of working in banana and pineapple plantations, and after many years of suffering health problems, Don Daniel and his family dedicate themselves and their farm to Organic, integral agriculture. They offer a guided tour (in Spanish) of their farm and a delicious lunch. They are a truly inspiring family and this is an authentic and motivating tour! Don Daniel is also the president of the Organic Farming Association and an eco tourism Association called Grillo Verde. Organic Farm el Paraíso is located 15km from Chilamate Rainforest Eco Retreat. By car it takes about 25 minutes to get there from Chilamate Rainforest Eco Retreat. A taxi there costs about $50 round trip. It is very diﬁcult to access this farm by public bus. The guided tour with lunch costs $30 per person (group or family rates are possible, please inquire at the reception). The family that owns Organic Farm el Paraíso is one of the families that Chilamate Rainforest Eco Retreat motivates and supports for the work they are doing in sustainability. They sometimes also house students or volunteers at this farm. This is a half day tour which includes lunch. The tour is done in Spanish but a bilingual guide can be hired in advance for an additional price, please inquire at reception. The Agro Eco Tourism Association Lago Jalapa is formed by seven families in the farming settlement of Rojomaca. It is located approximately 16 kilometers from Chilamate Rainforest Eco Retreat, 5 km from here to Puerto Viejo de Sarapiquí and then 11 km to Rojomaca. Behind the Banco Nacional in Puerto Viejo you follow 1.3 km on paved roads and then the rest of the route is a gravel road in decent condition. It is accesible for any type of vehicle. In 2010 the Wildlife Refuge Tapiria was created in an area of 110 hectares of tropical rain forest with 7 ha. lake that , called Lago Jalapa, due to the plant which is common in the area and who’s ﬂower is called Jalapa. The creation of this new wildlife refuge has been a source of employment for the members of the community of Rojomaca, who in addition to continuing to work on their small parcels of land also dedicate and invest time in the care and conservation of the area and promote a sustainable development through tourism. They offer guided hikes through the Refuge done by members of the community which include hiking and paddle boating around the Lake, and a yummy lunch prepared by the association using many fresh products from their farms including plantains, yuca, corn, rice and malanga. The Agro Eco Tourism Association Lago Jalapa is located 16km away from Chilamate Rainforest Eco Retreat. By car, from Chilamate Rainforest Eco Retreat, it takes 35 minutos to get to Lago Jalapa. A round trip taxi costs about $50 , it is very difficult to access Lago Jalapa by public bus. Lago Jalapa is an Association formed by campesino families from the farming settlement Rojomaca which Chilamate Rainforest eco Retreat motivates and supports because of their environmental and social work and similar conservation objectives. This is a half day trip (about 5 hours) with lunch included. The price is $50 per person. Group rates apply, please enquire at our reception. The tour is done in Spanish but a bilingual guide can be hired in advance for an additional price. Please inquire at our reception. Chilamate Rainforest Eco Retreat tries to support and motivate their neighbours to take part in sustainable and eco friendly tourism activities. One neighbour, Jaime Alvarado offers a very unique and fun (and tasty) tour where you explore the plants of the area and their medicinal and traditional uses. the tour starts at Chilamate Rainforest Eco Retreat and is done partly walking through the community and partly at Jaime´s ranch. Jaime Alvarado is a naturalist guide with many years of experience and his family has lived in Chilamate for many generations. This tour is approximately 2 hours. No transportation is necessary at all. The cost of this tour is $30 per person. Group and family rates available, please inquire at our reception. Chilamate Rainforest Eco Retreat supports and motivates many neighbors to become part of their sustainable and eco friendly tourism offerings. Two neighbors, Rodolfo Alvarado and Geiner Huertas offer a very interactive tour starting with the chocolate fruit plantation and then diving into the entire process and history, finishing with the chocolate bars! The owners are the guides and in addition to knowing all about chocolate they are excellent naturalist guides. 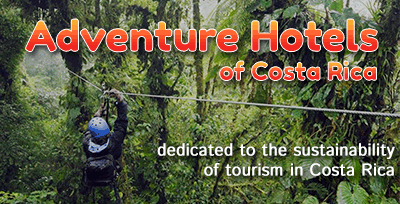 It is a very authentic and less commercial than most chocolate tours available in Costa Rica. This is a tour of approximately 2 hours and costs $30 per adult and $20 for children 4-12 years old. Chilamate Rainforest Eco Retreat is alive with sounds and activity all night. Night walks are available with previous reservation beginning any time between 6 and 8pm and lasting around 2 hours. Chilamate Rainforest Eco Retreat is alive with sounds and activity all night. Night walks are available with previous reservation beginning any time between 6 and 8pm andlasting around 2 hours. A favorite find on the night walk are the red-eyed tree frogs and the kinkajou, but beprepared to see an array of spiders, amongst many other creepy crawlies. We bring in experienced naturalist guides to do the night walk, including our naturalist guide William Mairena, or our neighbours Jaime Alvarado, Geiner Huertas or RodolfoAlvarado, amongst others, depending on the night and their availability. The cost of this tour is $30 per person. Group and family rates available, please inquireat our reservation. Children under 5 do not pay and children 5-12 pay half price. Closed toed shoes are necessary, rubber boots are preferred and available, please ask us or your guide. The Sarapiqui Region is arguably the best area for kayaking and rafting in all of Costa Rica. The climate of the area permits paddling all year long and the area is also home to many rivers, including the Sarapiqui River. Whatever your skill level there is something for you on the rivers of Sarapiqui from extreme whitewater, family safe whitewater (kids 6 years old and up) or safari floating/paddling for any age. In Sarapiqui there are many great local companies that offer rafting. Depending on what you are looking for we can match you up with the right one. Tours are generally half days, starting at 9am or 2pm but full days, leadership camps and rallies can also be organized. Let us know! In the nearby mountain town of San Miguel, en route to Poas Volcano, you can ﬁnd the Coopesarapiqui Coffee processing plant (beneﬁcio). Coopesarapiqui is a localCooperative bringing together many small coffee producers and their families. In their effort to diversify from just coffee production (given the crisis in coffee pricesglobally) they have created their Coffee Tour which is informative and fun. They alsohave beautiful trails that lead to the steep and majestic Sarapiqui River Valley and falls. You can try their Mi Cafecito coffee here at the Retreat and it is also sold in our gift shop. The tour costs $38 per person and is available in English and Spanish and some other languages and includes lunch, coffee tour, and access to the waterfalls andorganic plantation. Rates for groups and students are available, please inquire. By car, it takes about 35 minutes to get to Mi Cafecito Coffee Tour. By taxi the priceis about $60 round trip and by public bus it is possible, albeit not direct, let us knowif you need more information. This is a half day tour and can generally be arranged for anytime of the day that suits you. For wildlife watching we recommend a motor boat tour on the Sarapiqui River or the Puerto Viejo River where you will have the opportunity to see a great variety of birds, reptiles, monkeys, iguanas and much more. The tours are generally two hours long and begin at the public dock in Puerto Viejo de Sarapiqui. There are different companies that sell boat tours at the public dock but we recommend Aninga Tours, also know as the Rural Community Tourism Association which was formed in an effort to highlight the importance of the cultural and historical roots of the river. The boat drivers are very experienced and are great at spotting wildlife. The best time to do the tour is in the morning or the afternoon, avoiding the mid day heat. The boat tour starts at the public dock in Puerto Viejo de Sarapiqui. It is also easy to get there by public bus. You can catch the bus to Puerto Viejo on the main road every half and hour. It is best to make a reservation since there is no office at the public dock but many different companies will try and sell you a tour and not all of them are equally as good! Close to the Retreat you can enjoy the Poza Azul (Blue Pool) Waterfall which is great for wildlife watching, hiking, swimming, paddle-boarding and kayaking. By car, the access is about 15 minutes drive from the Retreat and then a short (15-20 minute) walk. The pool is a great place for swimming, relaxing, paddle-boarding, or even kayaking. You can get there on your own or we can organize a guided visit for you and even a picnic lunch if you like. if you like waterfalls you should not miss this one! A bit farther afield there are other waterfalls, like Cataratas del Toro, let us know if you would like any more information! The Sarapiqui Region is arguably the best area for kayaking and rafting in all of Costa Rica. The climate of the area permits paddling all year long and the area is also home to many rivers, including the Sarapiqui River, that originates between the Poás and Barba volcanoes and runs for 85 Kms to the San Juan River, the border between Costa Rica and Nicaragua. Thirty five kilometres of the river are used by paddlers of all levels from all over the world since it can be run all year long and is easily divided into three skill sections. Starting with 1200 feet of altitude and a flow volume of 1,300 ft3/second, twelve kilometres run through an impressive canyon with some of Costa Rica´s best paddling, big waves, technical rapids and pure white water followed by a long section of adrenaline filled scenic paddling class III and IV where you can take out at Chilamate when the altitude starts to drop to 100 feet and the flow rate lowers to 5,000 ft3/second, perfect for a safari float or kayak lesson, for any age. Close by you can also run the Rio Volcan, the upper Rio Pozo Azul, the Rio Toro, Rio Sucio, Rio Chirripo Norte, Rio Toro Amarillo or Rio Patria, among others! Below is a chart of the best sections in the Sarapiqui Area! Retreat Owners Davis Azofeifa and Meghan Casey passionately support kayaking and believe that more kayakers means more conservation and protection of our rivers! The Retreat is a perfect place for kayakers and the owners are happy to help plan your itinerary, coordinate transportation, boat rentals and excellent local guides. The Retreat has two minibuses available to rent, equipped with custom designed kayak racks and great contacts for lodging and guides in Sarapiqui, Turrialba, Quepos and beyond. If you want to enjoy the exuberant biodiversity that Sarapiqui has to offer from a different point of view there are several local companies that offer canopy zip-lines, rappel and horseback riding which we highly recommend! Let us know what your interests are and the ages of your people and we will make sure to help you design an unforgettable day! Sarapiqui is an amazing place to connect with nature and what better way than to enjoy yoga in the rainforest, by the river or even on a stand up paddle board on a crystaline lake? If you like mountain biking there are tons of amazing routes, leading to lakes, waterfalls and farms. Let us know your skill level and interests and we will set you up with an amazing guide and a beautiful route perfect for you. Or if Stand Up Paddling is your thing, challenge yourself to trying it on the river! If not we have calme creeks and mirror-like lakes perfect for enjoying the board. One of our neighbours has started a new business with great quality gear and equiptment and everything you need to be safe and enjoy Sarapiqui by bike, or paddleboard and there are some excellent local yoga teachers in the area. So be in touch and we are happy to help you organize an amazing time in Sarapiqui!